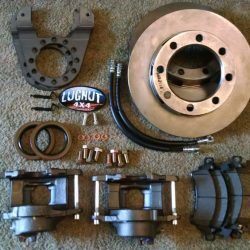 Upgrade the brakes on your semi float 14 bolt axle with 8 lugs with our disc brake conversion kit! NOTE: Not sure if you have a full-float or semi-float 14 bolt axle? Not sure if you have a slide-on drum or not? No problem! Check out our 14 bolt identification chart and you’ll know exactly what you need. 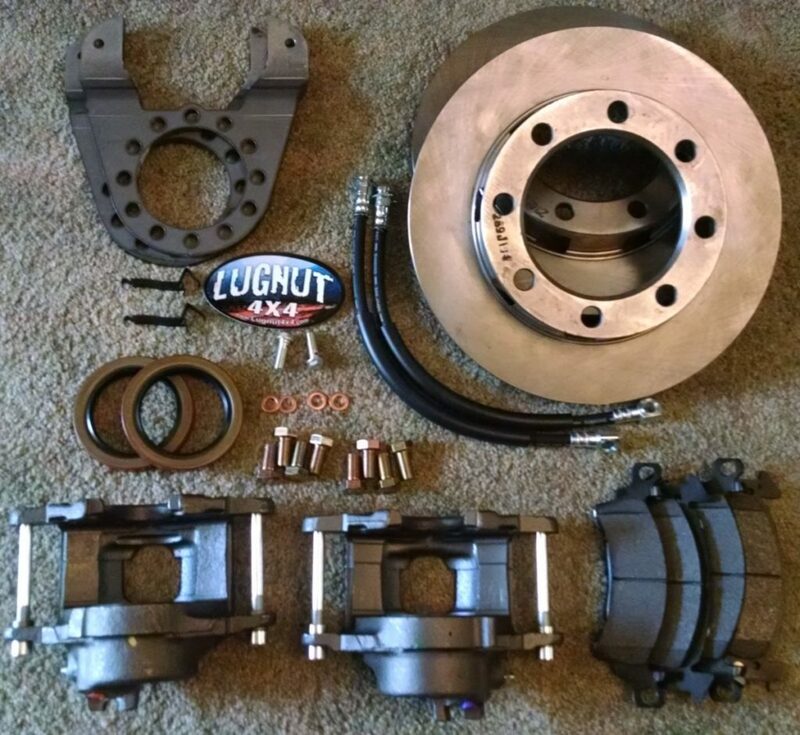 This 14 bolt axle drum brake conversion kit is for semi float axles with 8 lugs. This kit includes new studs, so you’ll need to select metric or standard studs when you order. 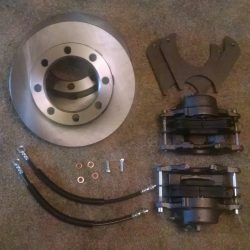 Interested in adding an emergency brake? If so, we offer calipers with integrated emergency brakes (just select that option above). This will give you a manual e-brake that hooks up to your cables. Identify the type of 14 bolt axle you have with our handy chart! This kit fits just perfect. Really easy to install. And looks nice on the axle. Lugnut 4×4 is the real deal and fast response to email and shipping time. Thanks for your grate service.